Jonty’s is a beautifully appointed Lake District holiday cottage in Elterwater near Ambleside, and is available to rent as a perfect place to relax and enjoy the beautiful Lakeland scenery. 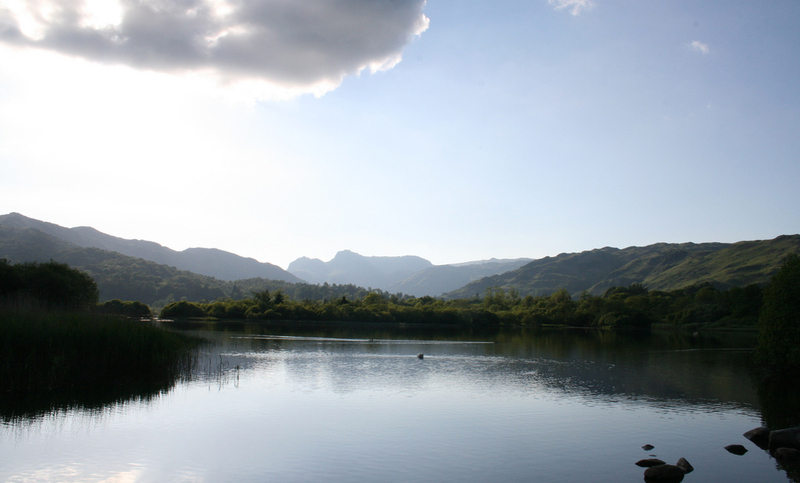 Tucked away in the charming village of Elterwater in heart of the English Lakes, Jonty’s Cottage is ideally located between the picturesque Great Langdale and Little Langdale valleys, and is the perfect location for your Lake District holiday. From the lounge, sit back and relax in front of the wood burning stove, with breathtaking views of the Lake District hills, and let stress melt away. Newly refurbished by a leading interior designer, Jonty’s cottage blends traditional Lake District charm with contemporary comfort. Jonty’s is the ground floor of an old saw mill, providing modern two bedroom apartment comfort and style, within a spacious old stone building of immense character. Whether you wish to hill walk, rock climb or scramble in the Great Langdales, meander over to Grasmere to Wordsworth’s home, or just stroll down to the local village Inn, Jonty’s Cottage is the perfect place to stay for your Lake District holiday. Jonty’s Cottage is rated Four Star by Visit England, The English Tourist Board. Beatrix Potter Centre, Lake District. forecast for the Lake Distrist. A sumptuous lounge and four seat dining area with a wood burning fire, a fully newly appointed kitchen including dishwasher and washer dryer, two opulent bedrooms with one double room and one twin room, ample storage, a modern slate bathroom with bath and shower, separate wood, mountain bike and boot store, BT TV, phone, free broadband Wi-Fi throughout and exclusive parking on private quiet road. Two Mountain Bikes provided. Four star rated. (Up to two dogs are welcome but please do not leave them alone or let them onto furniture or in bedrooms).